144-Hour Visa-Free Transit is implemented in Guangzhou. Passport holders from 53 countries and regions including the USA, UK, Canada, Australia, France, Germany, Italy, Portugal, Brazil, Mexico, etc. are granted a visa-free stay of up to 144 hours when taking an international transfer via Baiyun International Airport. Visitors from other countries are expected to obtain a valid Visa before their visit to Guangzhou. 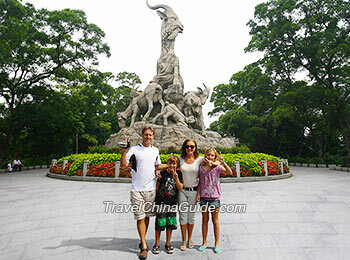 See more about Do I Need A Visa for Guangzhou If Traveling from Hong Kong? The Canton Fair is held twice a year from Apr. 15 to May. 5 and from Oct.15 to Nov. 4. Due to the large number of attendees, the transportation system will bear heavier stress than at other times of the year. It is almost impossible to get on a bus or metro during rush hours. In addition, the prices of all things from a flight ticket to a hotel room will rise. For attendees, it’s highly recommended to plan your schedule ahead of time: book your flight tickets, train tickets and hotels as early as possible. Guangzhou boasts many famous historical and cultural sites, such as the Ancestral Temple of the Chen Family, Sun Yat-sen Memorial Hall, and the Guangxiao Temple. 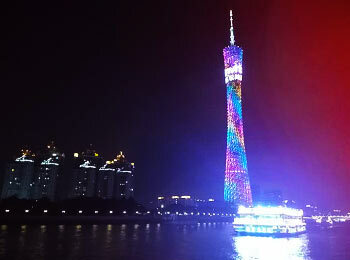 Apart from these, popular modern sites are worth a visit, for example, Canton Tower and the Chimelong Tourist Resort. It’s also advisable to take a leisurelly walk around the city’s largest park, Yuexiu Park, to appreciate its picturesque scenery and enjoy a night cruise on the the Pearl River to appreciate a night view of this international metropolis. Shamian Island is worth visiting for its exquisite European-style architecture. Beijing Road and Shangxiajiu Pedestrian Street are dedicated to tourists for leisure shopping. If time allows, go to local wholesale markets for shopping, where visitors can buy some fashionable products at a low price. Enjoying morning tea is an essential part of local life in Guangzhou. Surely you must try the elegant morning tea as well as have some delicious Cantonese dim sums, like shrimp dumplings, steamed shaomai and radish cake. Cantonese cuisine, one of China’s eight cuisines, is characterized by exquisite style and mellow taste. Top dishes include White Cut Chicken, Wonton Noodles, Roasted Suckling Pig and seafood. Street food, like double-skin milk and rice rolls, is so tasty that people don’t want to put down their chopsticks. Tourists can Depend on Guangzhou’s Public Transportation. Visitors from many international cities can directly reach Guangzhou Baiyun International Airport by air, such as New York, London, Sydney, Toronto, San Francisco, Cairo, Melbourne, Bangkok and Bali. If you depart from Hong Kong, it would be easy to take a high speed train to Guangzhou. In terms of urban public transport, there are 14 metro lines serving the locals and tourists. Apart from metro, visitors can easily hail a bus or taxi to almost every corner of the downtown. In addition, intercity buses and trains are well-developed here, offering visitor alternative transportation to other cities in China. As part of the subtropical monsoon climate, Guangzhou is warm and humid most of the time, without a clear distinction among the four seasons. The best time to visit is from October to December: the spring is quite wet and rainy; summer gets hot with occasional typhoons; but late autumn and winter is endowed with a moderate temperature and gentle breeze. SIM Card can be easily purchased. It’s easy and convenient to purchase a SIM card at the airport or downtown area from the mobile operation service sites. Different SIM card packages are available to choose from. If it’s just a short stay, you can rely on free WIFI instead of buying a SIM card. Free WIFI covers lots of places, like the airport, railway stations, hotels, shopping malls, and restaurants. Guangdong Branch of Bank of China is located in the Guangdong International Financial Building, No.197, Dongfeng Xi Road. You can have your money exchanged here, or at a sub-branch. Is the 144 hours visa possible for flying from bali to Guangzhou stay few days and then to doha? No. Guangzhou only has 72 hours TWOV, not 144. I need the postal code for Palm Eco-Town Development Co.
where we can get a good feel for the city. You are suggested to find a hotel nearby Haizhu Square. Hotel Landmark Canton is recommended. It is a 4 star hotel. The surrounding transportation is quite convenient. The exact location is No. 8, Qiaoguang Road, Yuexiu District. Hi, AJ, you can only get the 72 hours visa free. Can I use the 72 hours visa free transit if I come in to Guangzhou by air? And leave to hong kong by rail? No, you cannot. You need to fly in and out so that you can enjoy the 72-hour free visa.